This is Wychwood’s elite choir with perhaps the highest musical standard of any of the activities in the department. All girls are welcome to participate. The choir performs at public events such as Performing Arts Evening, the Carol Service and at a local nursing home. Girls who take part are expected to attend all rehearsals, which are on Wednesday at lunchtime. An ability to read music is not essential, but good vocal instincts are required. This is a demanding but thoroughly rewarding extension activity for the vocally able pupil. 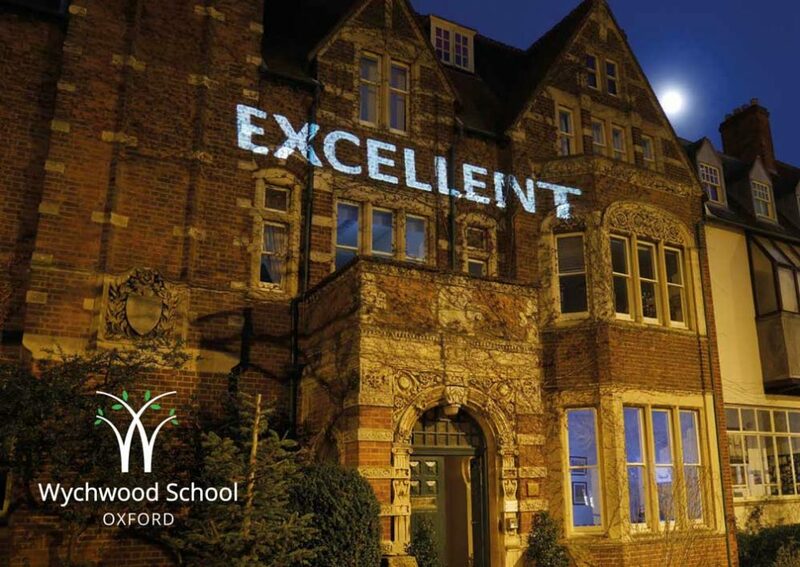 Wychwood has a number of active ensembles depending on the skills of the current students. At the moment we enjoy harp ensemble, string group, pop band, guitar club, sight-singing group and we hope to have a woodwind group soon. 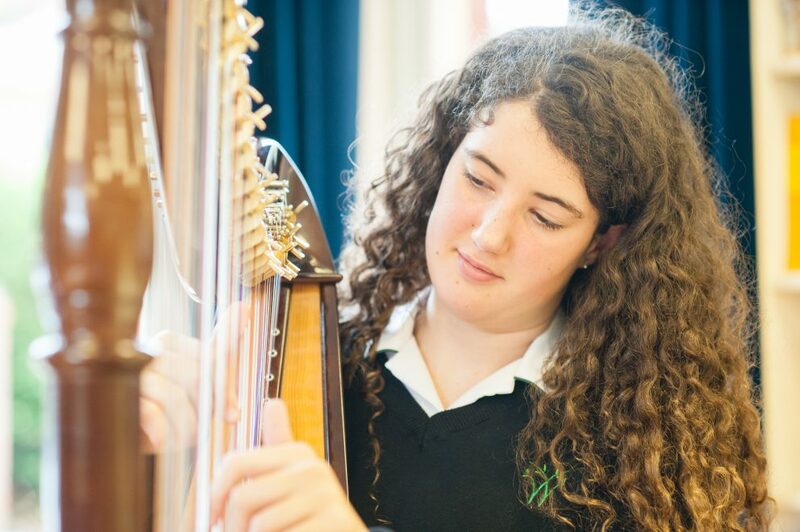 The repertoire is tailored to the ability of the girls and beginners often sit alongside accomplished instrumentalists up to Grade 8 ABRSM standard and often from different year groups. Rehearsals are held weekly and participation presents a wonderful opportunity for girls to have fun with students from other year groups, expand their musical awareness of key repertoire and gain experience of playing with groups and a larger ensemble. The ensembles perform at the Performing Arts evening every term and at Wychfactor. Individual music lessons are available for all students. 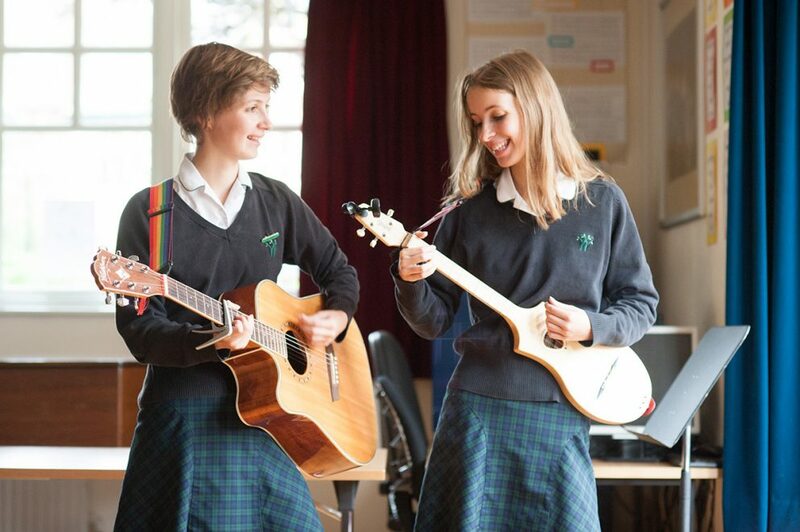 Currently about half of our pupils learn to play an instrument or have singing lessons. Individual music lessons are taught by visiting specialists on a weekly basis. Lessons generally last for 40 minutes (although some beginners only have 30 minutes if the teacher feels that this is more appropriate). While students are 7,8 and 9 they generally have their lesson during the school day, on a rotating timetable to minimise the impact on their academic work. Once pupils move into the upper school, lessons are given during study periods, at lunchtime or before and after school so that academic work is not missed. Currently we are able to offer lessons in the following disciplines: Flute, Clarinet, Piano, Keyboard, SInging, Cello, Violin, Viola, Music technology/composition, Organ, Saxophone, Guitar, Drum kit, Harp. It may be possible to arrange lessons on other instruments. Please discuss any requirements that you have with the Director of Music, Mrs Briony Walster.